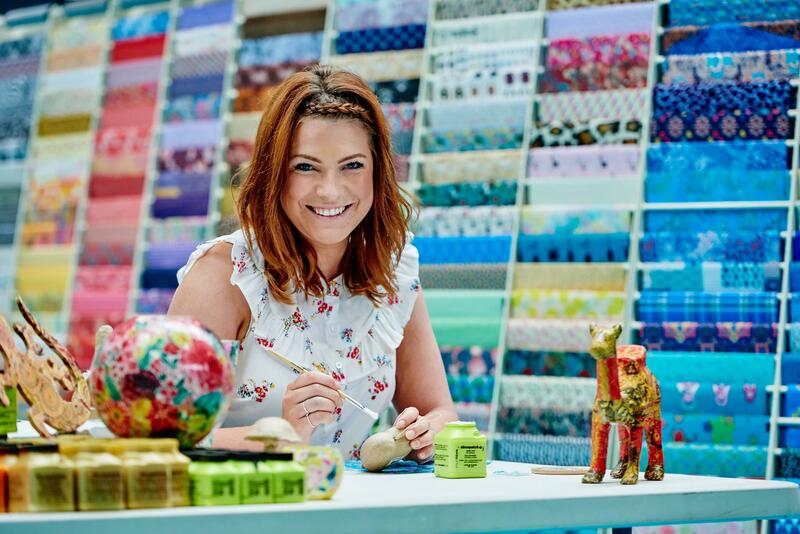 Stitching, Sewing & Hobbycrafts returns to Westpoint, Exeter this September with 160 stands full of must-have craft supplies and a wealth of inspiration for makers. The show is a haven for those who love to craft and has been a must visit event in Exeter for 28 years. New to the Exeter show is Bertha, the Colour-in Caravan. Kate Edmunds, Bertha’s owner, found the vintage caravan neglected and dilapidated and lovingly restored her as a colouring-in extravaganza. Kate said: “Children are free to colour the caravan itself, using our special washable pens (so no worries about getting ink on their clothes either). Colouring in is great for fine motor skills - hand and eye co-ordination and is a great antidote to screen time. It's therapeutic and a lovely way to get young and old together for communal colouring in.” Visitors from five to 65 can enjoy getting creative and helping to bring Bertha to life. All visitors bringing this page to Fantastic Ribbons on stand A08 will receive one free roll of ribbon from the display, visit the stand to see what other show offers are there (while stocks of promotional ribbon last, terms and conditions apply). Stock up on your craft stash with exhibitors selling supplies for stitching, knitting, dressmaking, papercraft, jewellery making and beading. There will also be fantastic features to enjoy from a display of contemporary quilts, a celebration of the stunning and unique creative cultures of Japan, and a 1920’s themed embroidery exhibit. Make a date in your diary for Stitching, Sewing & Hobbycrafts and find everything needed for inspired craft projects this autumn.